The news of the moment might be that this famous order caller at The Beacon restaurant will "lie in repose," though one might suggest the headline is pretty dull for such a well-known character (and is "in repose" really conversational)? But two days from now, when people are still coming to your site for this news, or five, 10 or 30 days later, you can look silly with this head. Do it if you must for the moment - but then update it later. 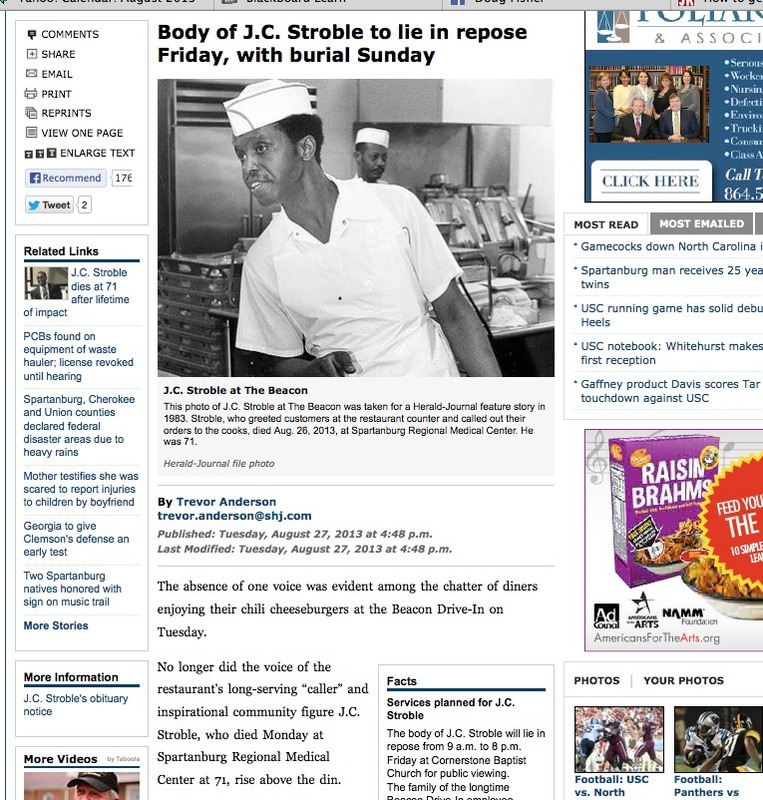 The story you point out is simply a middle story between the initial notice and the funeral story. And all the related stories are displayed down the left side of the page, indicating the timeline of the story. This is just a part of that timeline. I don't think the story you link to is the "base" as I define it. 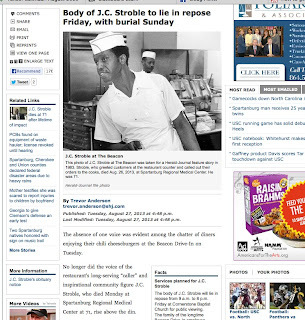 Yes, it is the first story, but the one I link to is the one that brings Stroble's live to -- well -- life. It's the one more likely to show up in search engines (in fact, it was on top of the pile when I checked yesterday). So this is the first hed you see. It's great that you have all the stories listed - that's the way it should be. But we can't just do one-and-done on headlines in this case. Many times the original will suffice. But one of the problems with trad newsrooms has been not understanding the long tail and how to work within it. This is an example, I think. However, you have made some valid comments, as usual, and we are taking them to heart. t's meant in the best spirit of critique, not criticism. We have (sometimes long) discussions about this in class with the students who work for The Gamecock. http://newsosaur.blogspot.com/2013/09/digital-puts-news-consumers-in-control.html ... it gives such things a bit more urgency.